Practice Areas: product liability, construction accidents, complex tort, trucking and insurance coverage matters and opinions. 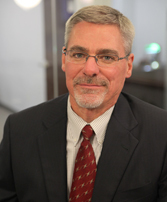 John E. Hannum is a 1985 graduate of New York Law School having obtained his Bachelors and Masters Degrees from Villanova University. Prior to his current position he was a senior trial attorney at Caulfield, Heller & Harris, and a partner at Hawkins Feretic & Daly LLC, handling strategic and major construction accident litigation involving seven figure reserves. Mr. Hannum presently concentrates his practice in product liability, construction accidents, complex tort, trucking and insurance coverage matters and opinions. Mr. Hannum is currently on the panel of Construction Defect Counsel where he is handling numerous matters involving building defects from mold infestation to unstable structures due to improper building practices. Mr. Hannum is currently on the excess panel of several carriers having tried numerous cases to verdict following the tender of the primary limits. He also currently acts as a Special Master in the New York State Supreme Court adjudicating disputes between litigants which entails all aspects of litigation including discovery, procedural practice and settlement. Mr. Hannum is a member of the Defense Association of New York and various and state and local bar associations and is admitted to practice in the State of New York as well as the Federal Courts of New York.